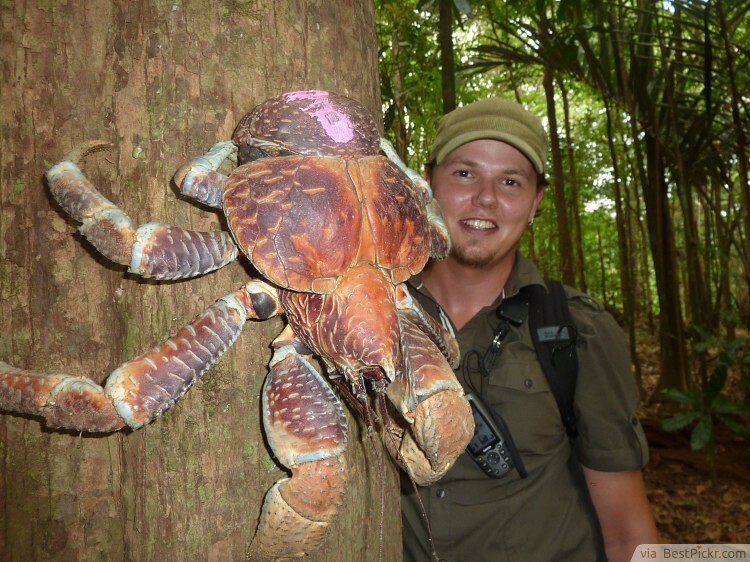 Our planet is home to various beautiful and terrifying species, including really small and really large animals. 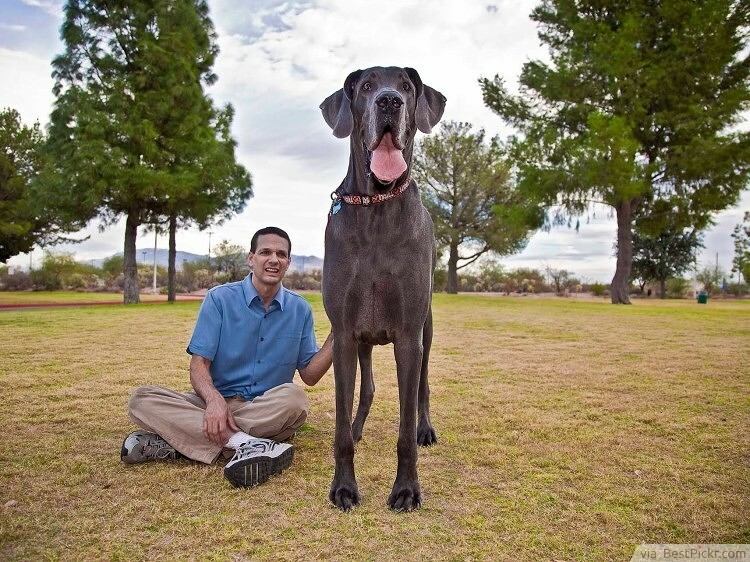 Here are the 20 biggest animals to ever exist on our planet! 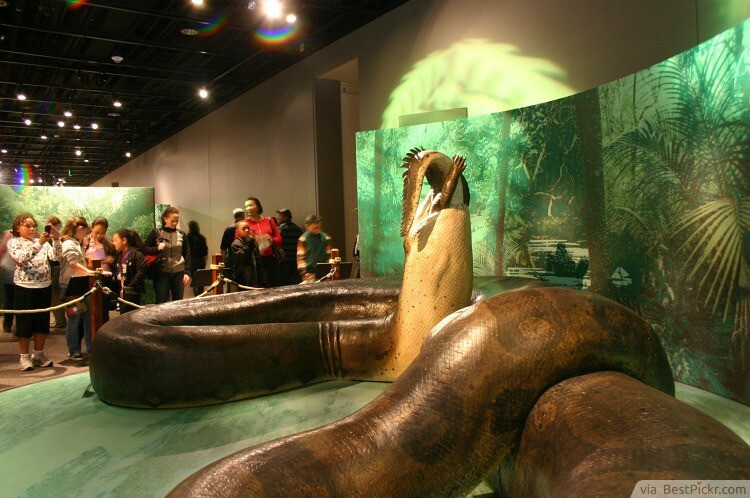 The Titanoboa is actually called the Titanic Boa. 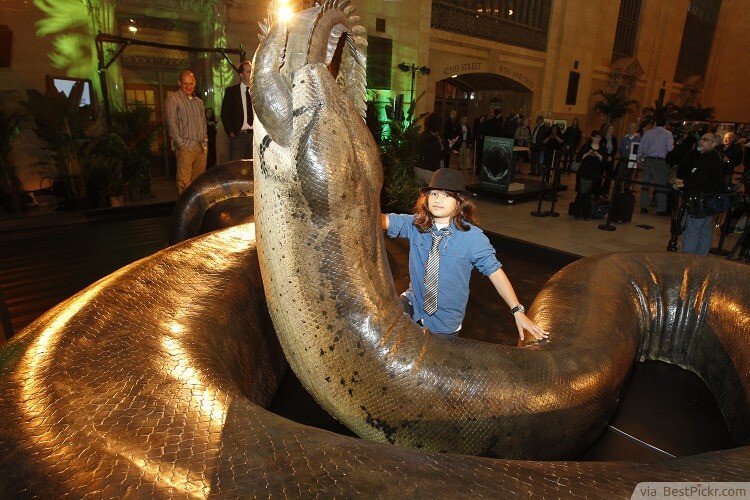 They are the largest snakes ever to exist! 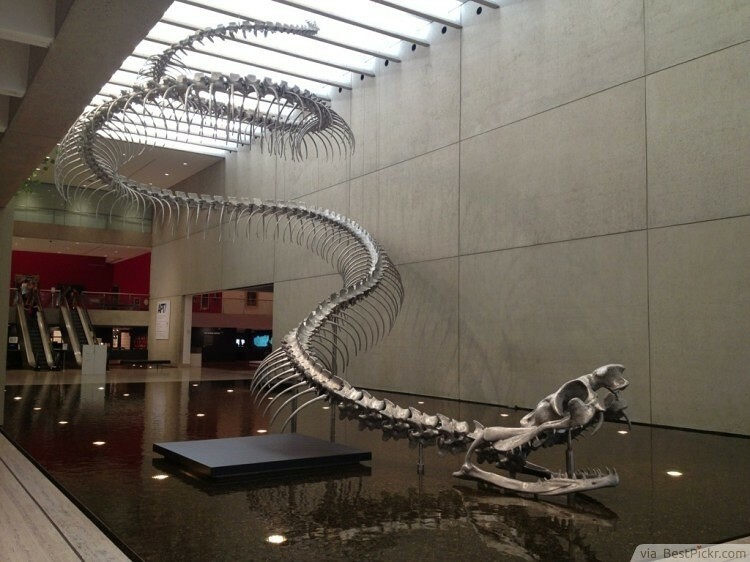 They used to be 50 feet long and weighed much more that all of today’s snakes put together. 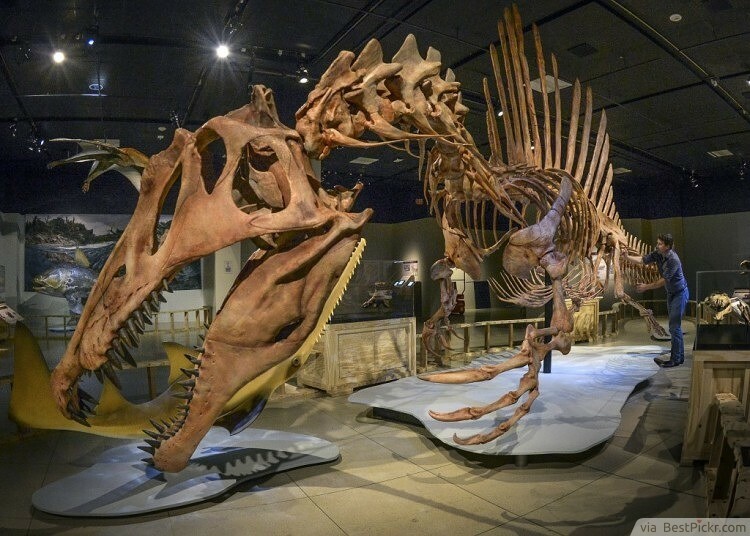 It used to be alive about 60 million years ago, just after the fall of the dinosaurs. 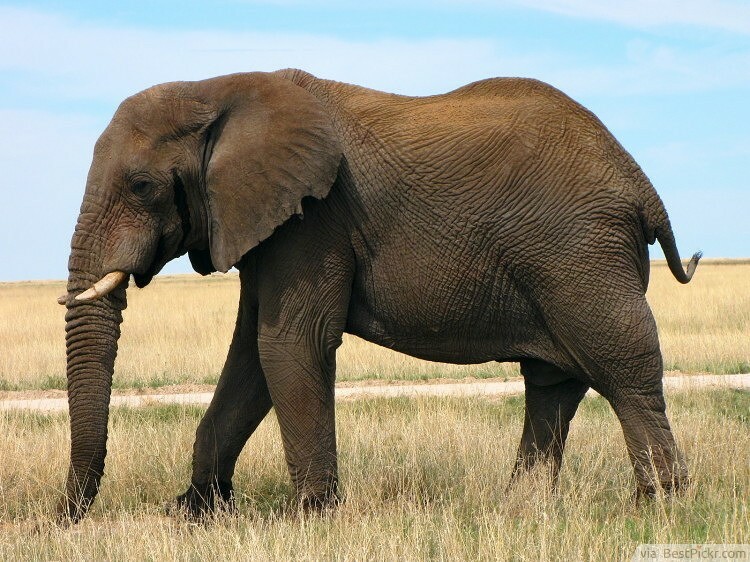 This elephant is the heaviest land animal alive today! 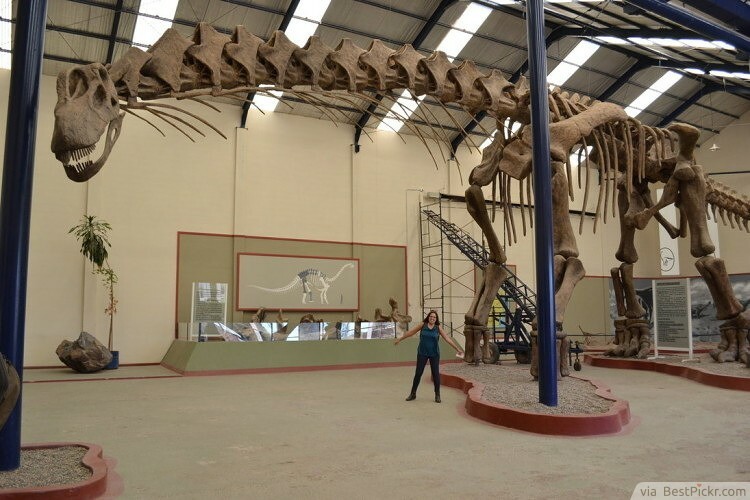 It’s around seven meters in length, three meters in height and can weigh around 6 tons! 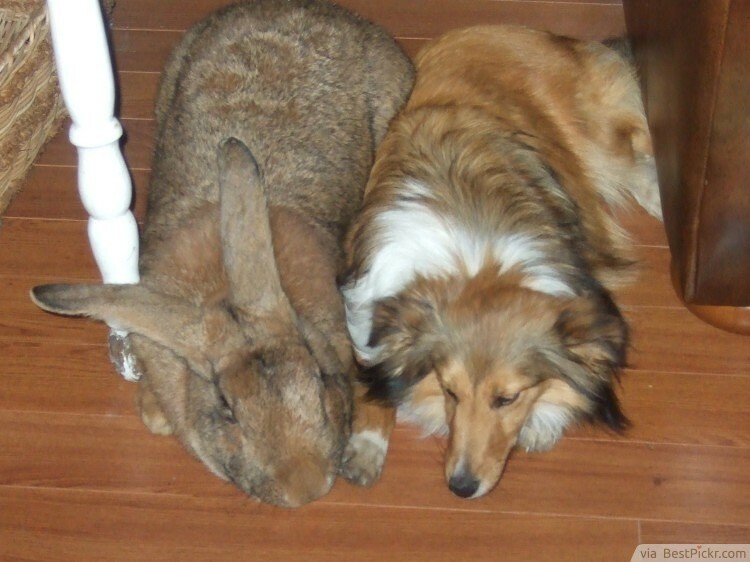 Because of its size, no other animal actually hunts it. However, its young are frequently attacked by tigers, hyenas and crocodiles. 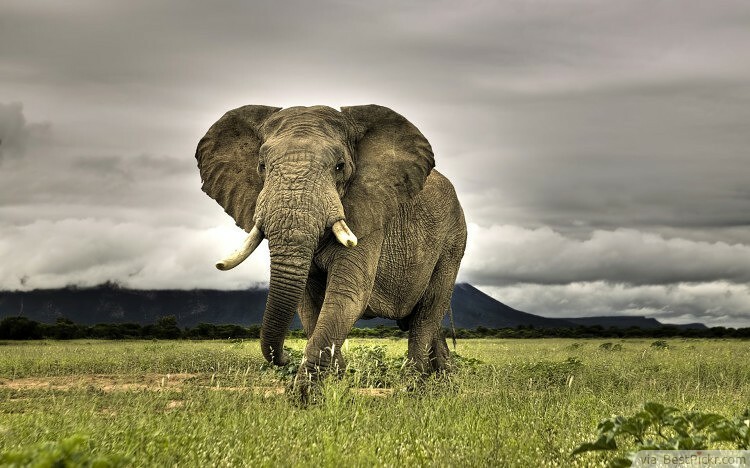 Humans primarily hunt the adults for their tusks. They are 18 centimeters in length and 9 centimeters wide. 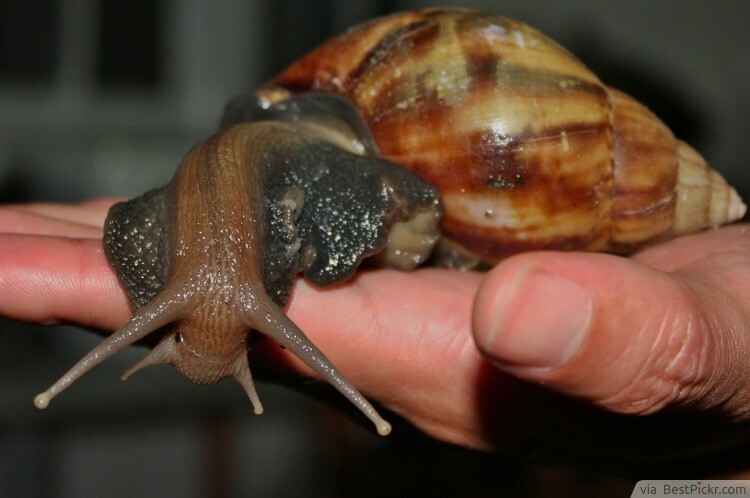 The entire snail can reach up to 18 inches in length. 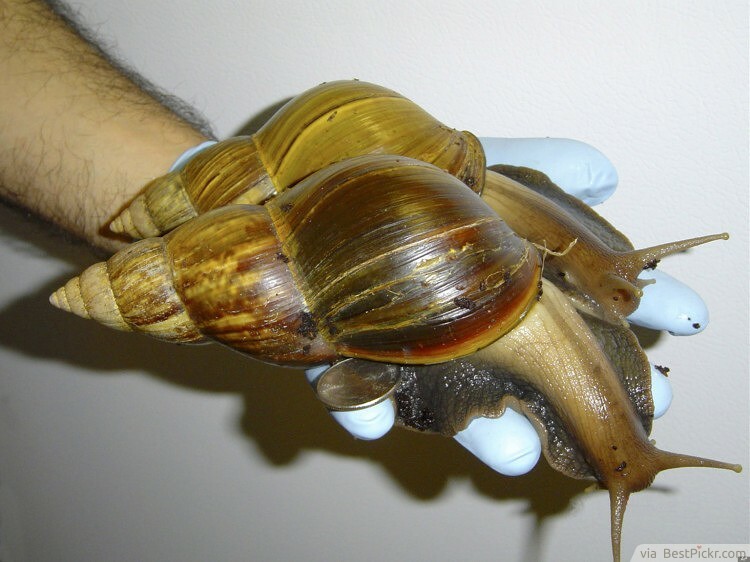 These snails are frequently confiscated at airports because people want to keep these animals as pets. 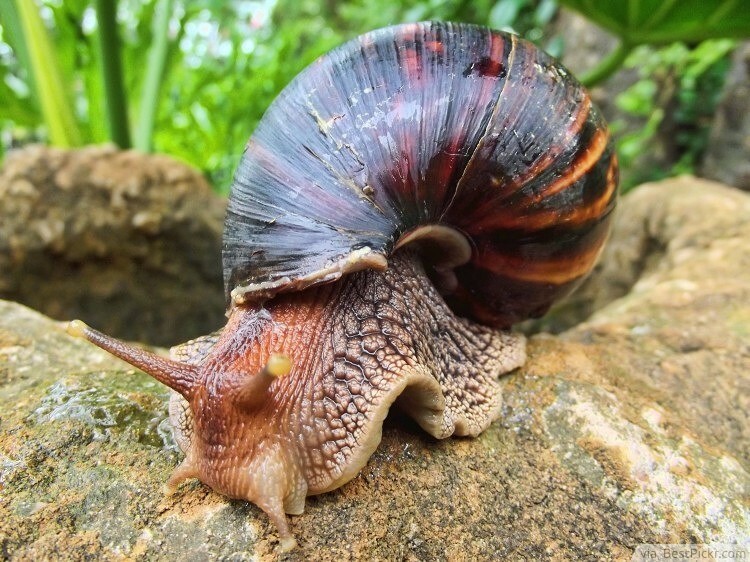 Even though the snail is technically considered a pest, people value its rarity and distinct features. However, they negatively affect the local agriculture and ecosystem. 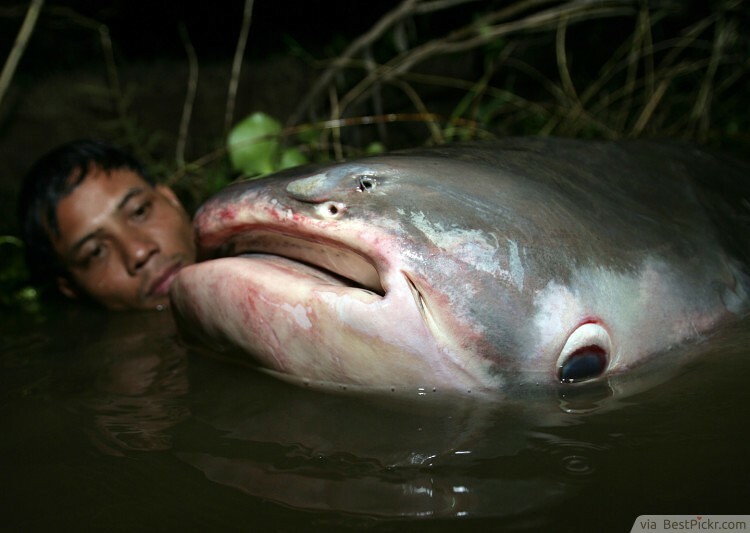 These are one of the largest fresh water fishes in the world! 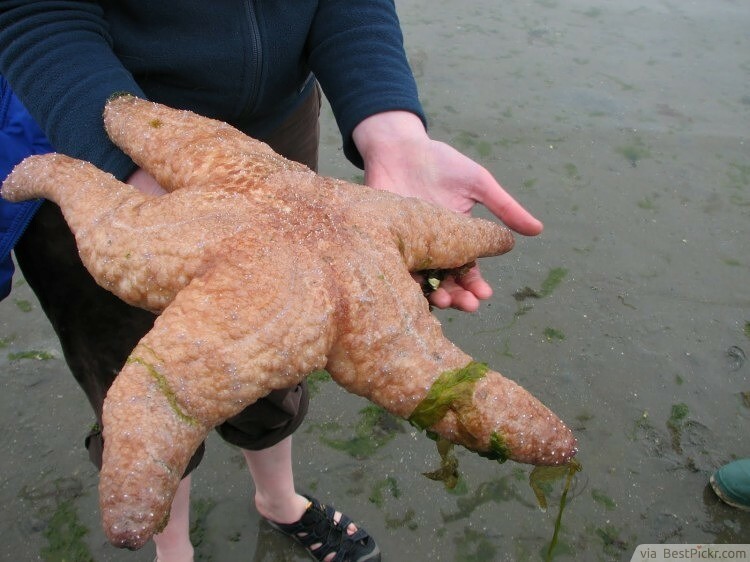 It can grow up to 1.9 meters in length and weigh around 600 kilograms. 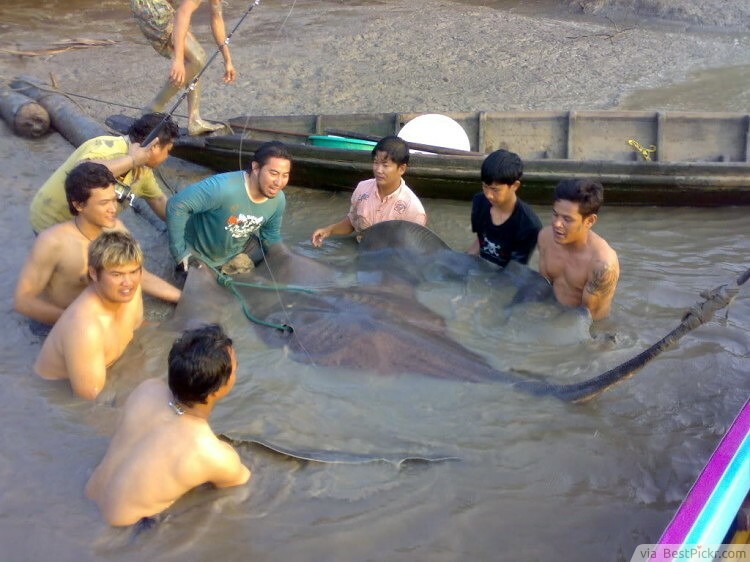 These stingrays are heavily fished because of their meat and aquarium display. Because of this, there has been a drastic decline in their number. 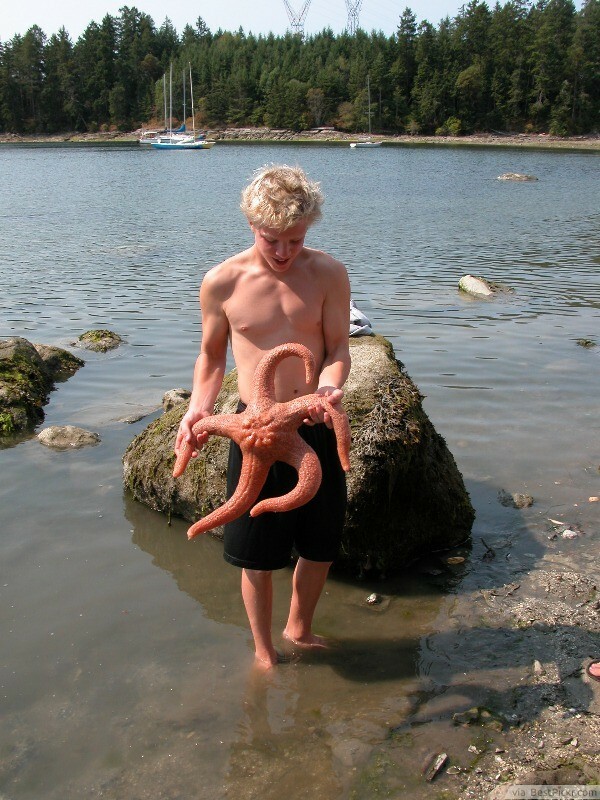 This marine animal is around 30 meters long and weighs around 180 metric tons! 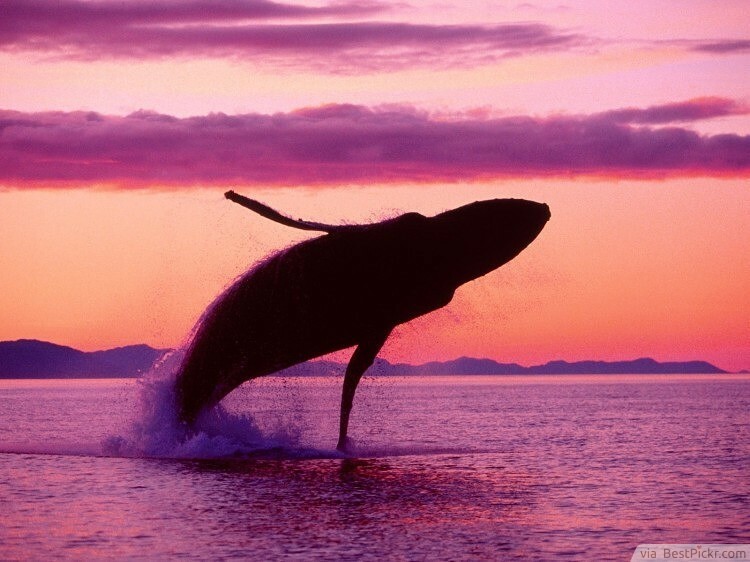 It primarily feeds on krill and eats around three tons of food per day! Its heart is the size of a small car. Its tongue could support 50 grown human beings. 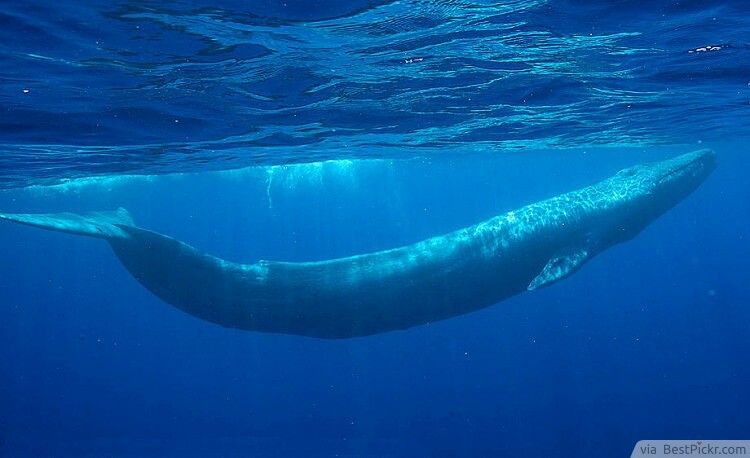 This whale is the biggest animal ever to exist on our planet. 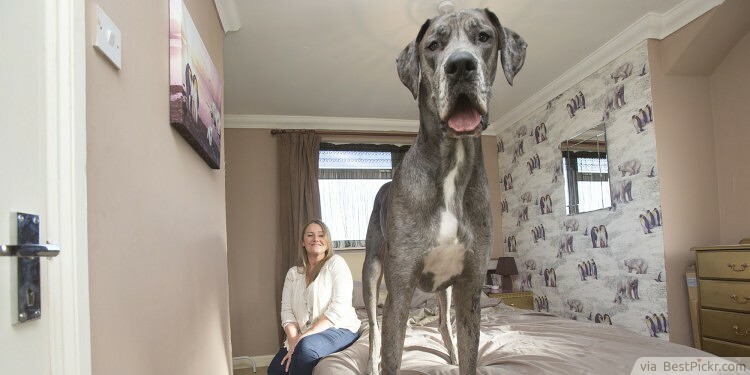 Great Danes can grow in various sizes, but this dog species is known as one of the largest dog species on Earth. 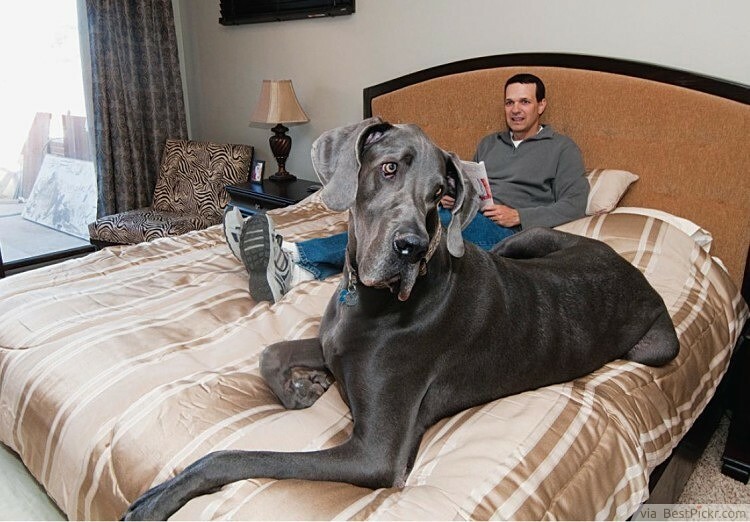 Some Great Danes can grow up to 200 kilograms in weight and reach over 40 inches in height. Unfortunately, some of them suffer from health problems due to their largeness. 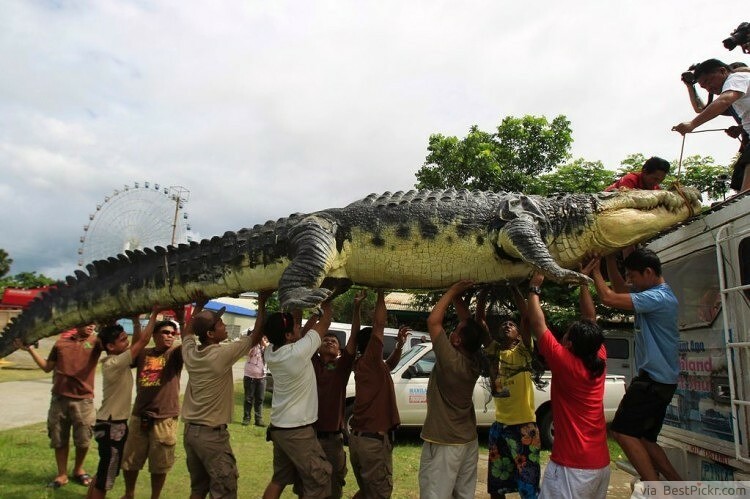 These crocodiles are the largest among all living reptiles! They can reach up to 6 meters in length. Their weight can exceed beyond 200 kilograms! 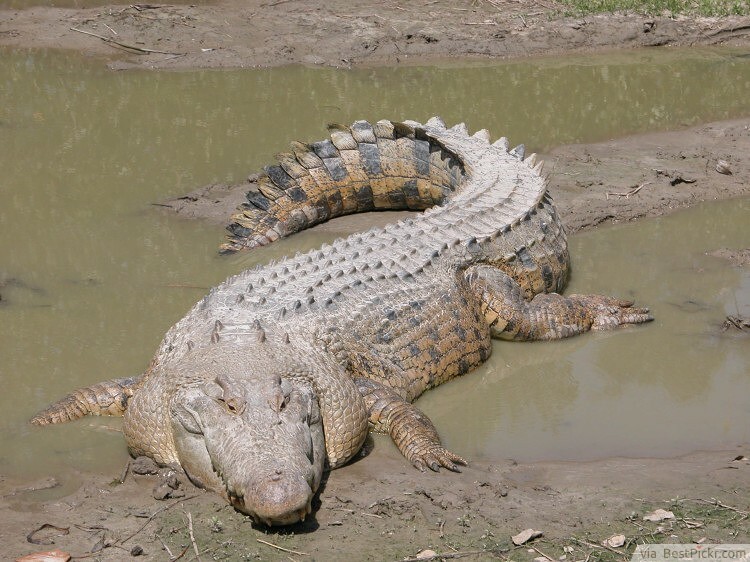 You can usually find these crocodiles in swamps, lagoons and rivers. 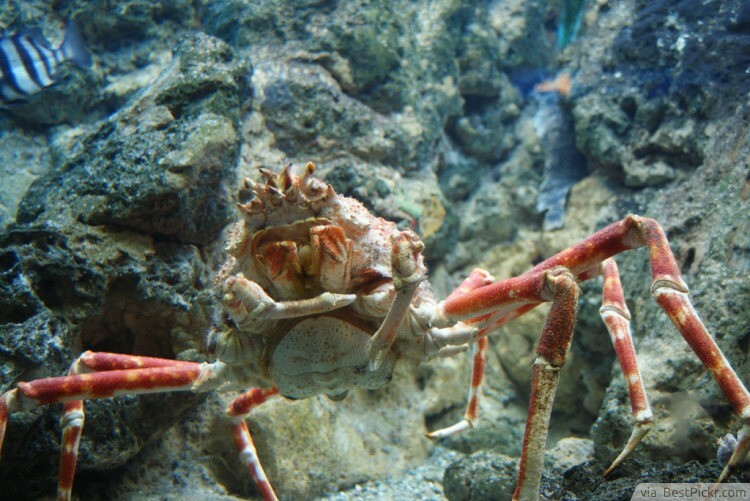 They are ambush predators and very carnivorous. It is highly suggested to stay away from them when they are hungry! 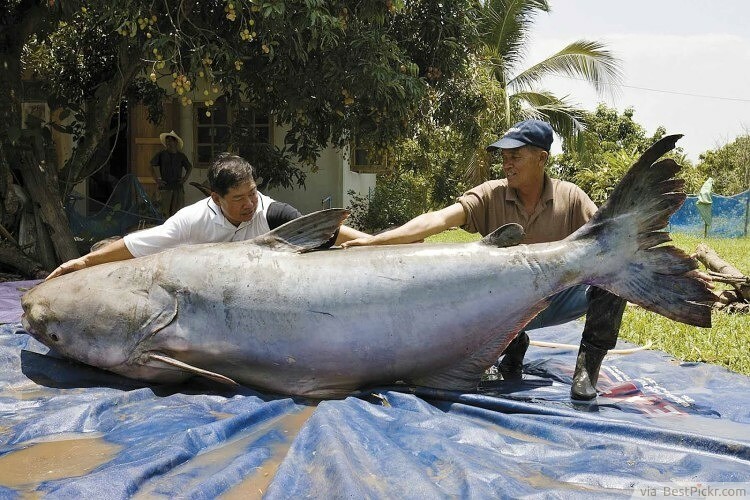 This is the biggest fish ever to exist! It reached up to 54 feet in length. It weighed 50 metric tons! 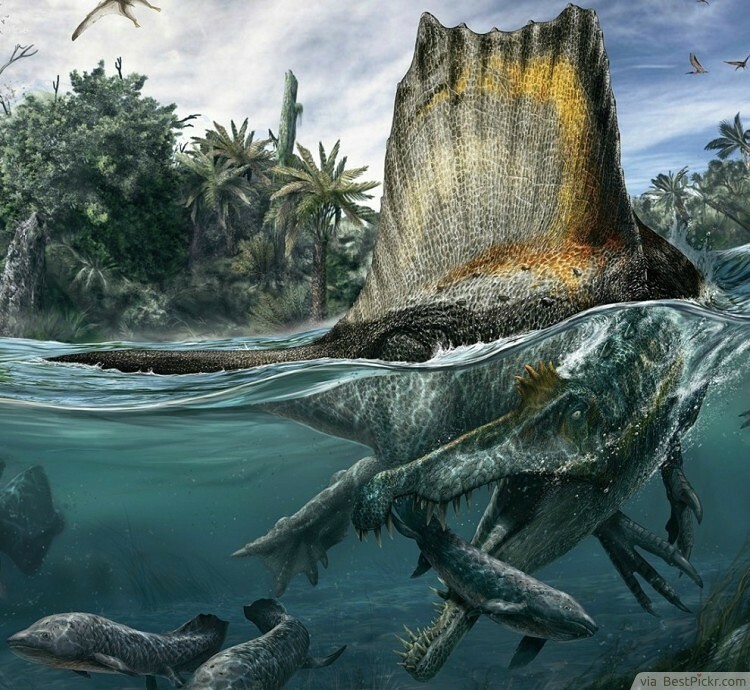 It lived in the Jurassic period when dinosaurs ruled the Earth. 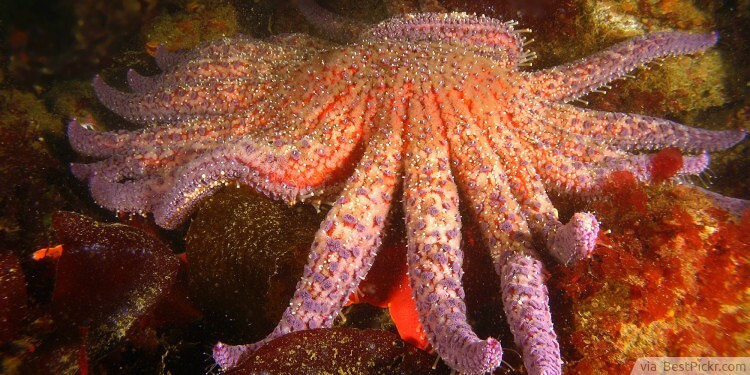 During that period, marine predators where abundant and massive. 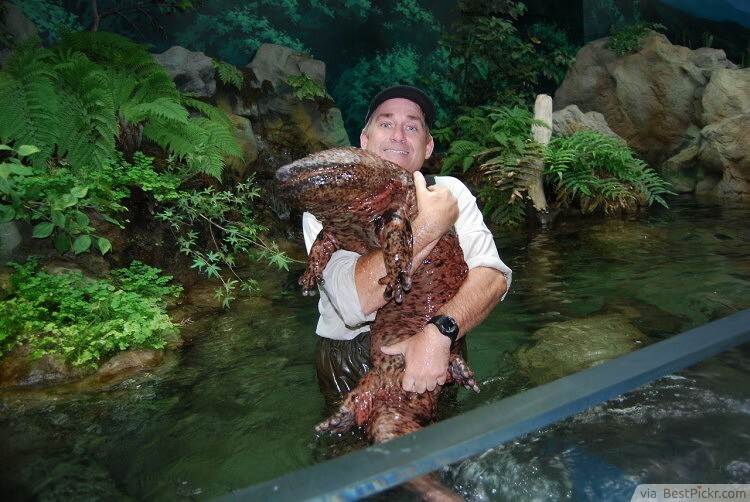 This Salamander can have up to 5 feet in its length. 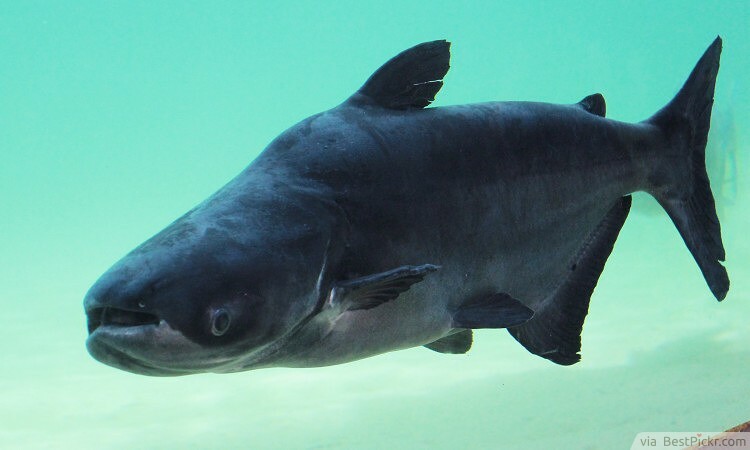 Unfortunately, they are considered endangered species mainly because of their delicacy, but also because of human caused pollution. Some of them used to be harvested for specific types of medicine. 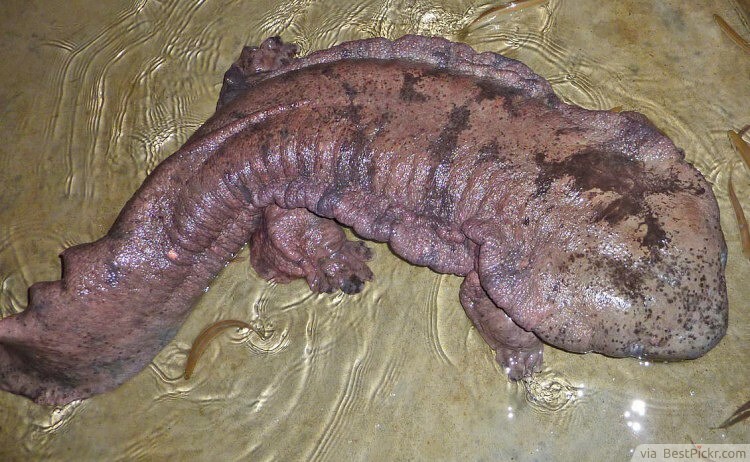 Curiously enough, these Salamanders are basically blind. This makes it very difficult for them to run away from humans. The Giraffe is the tallest living animal on Earth at the moment. 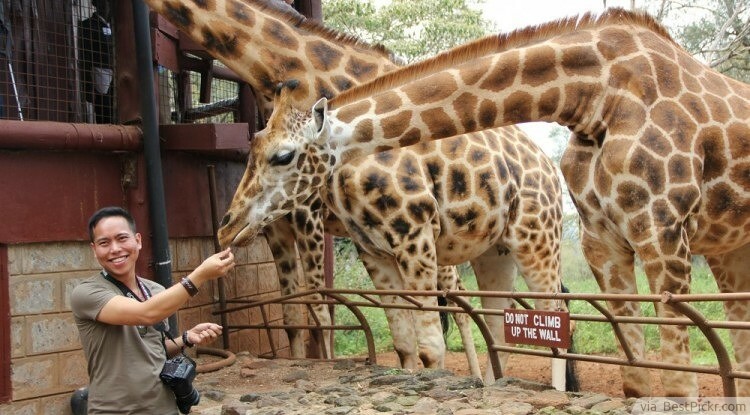 The Giraffe is about six meters tall and can weigh between 1500 and 1800 kilograms. 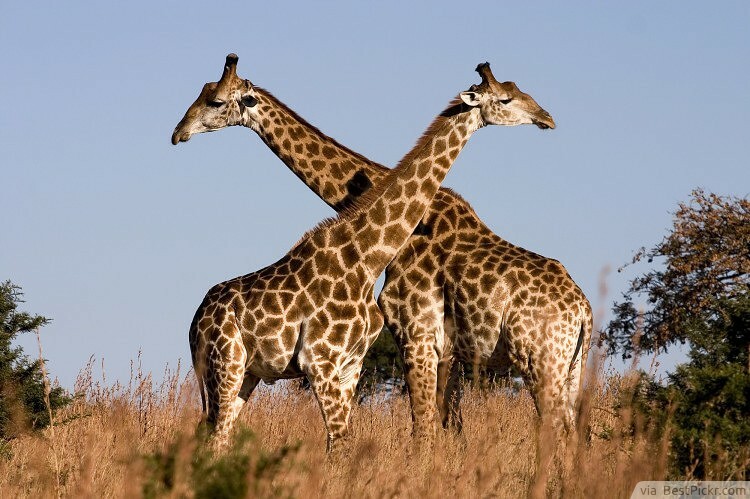 Only the neck of a Giraffe is about two meters high! 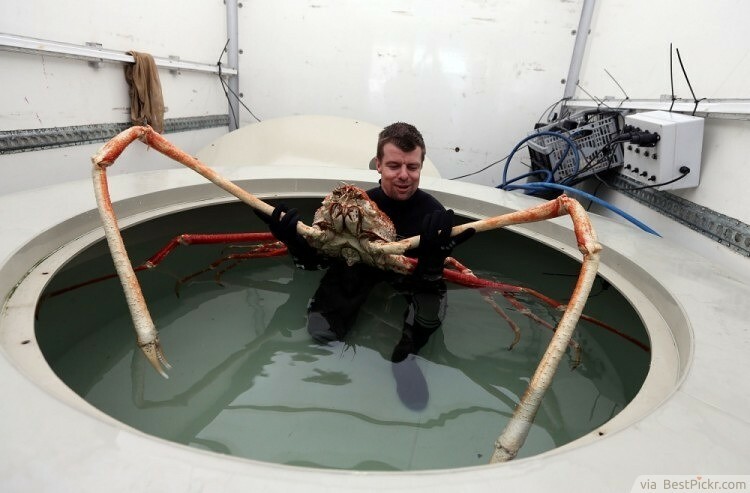 These Crabs have large and long nightmarish legs and they resemble spiders. They are 4 meters tall and weigh almost 20 kilograms. Despite their ferocious appearances, they have quite a gentle disposition. Make no mistake though; their claws could slice you pretty bad. 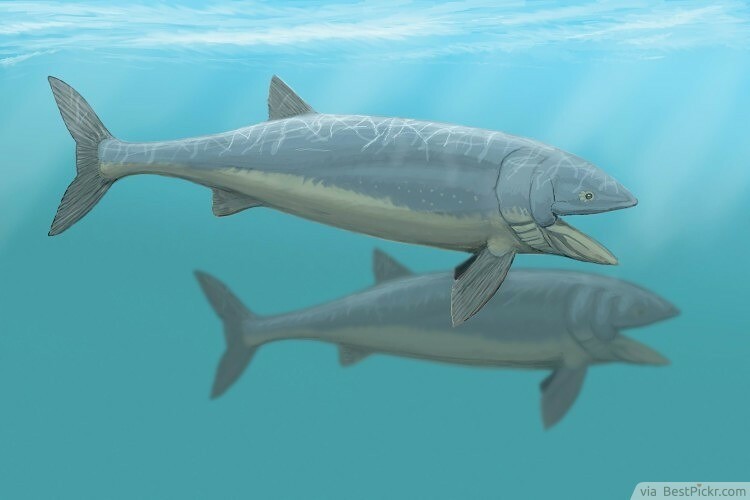 These animals were alive one hundred million years ago. Their length reached up to the height of a six or seven story building! 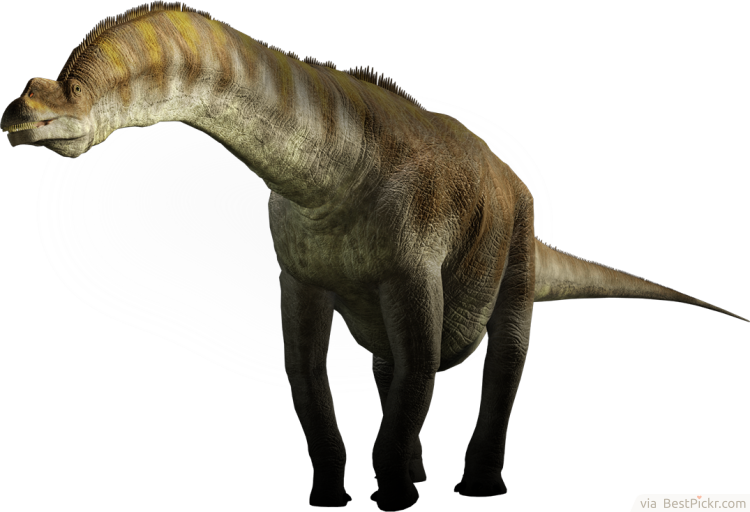 This dinosaur is often referred to as the biggest living creature to ever walk the Earth! 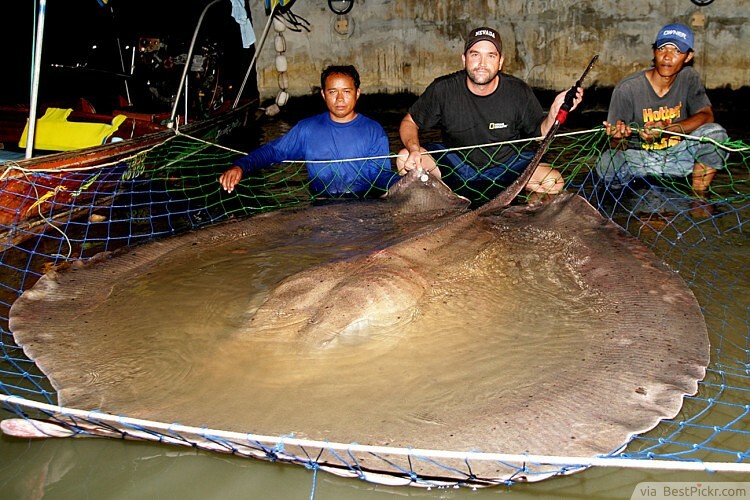 It weighed around 100 tons! 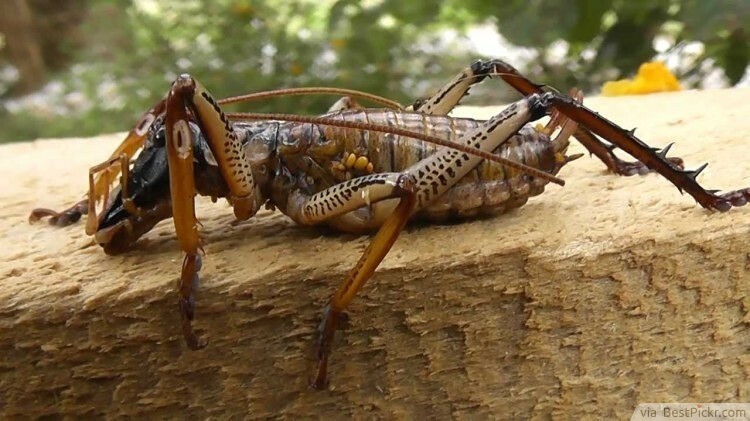 The Weta Cricket is a huge insect. Their body length reaches up to 4 inches and they weight between 20 and 30 grams. They are known to devour giant vegetables. 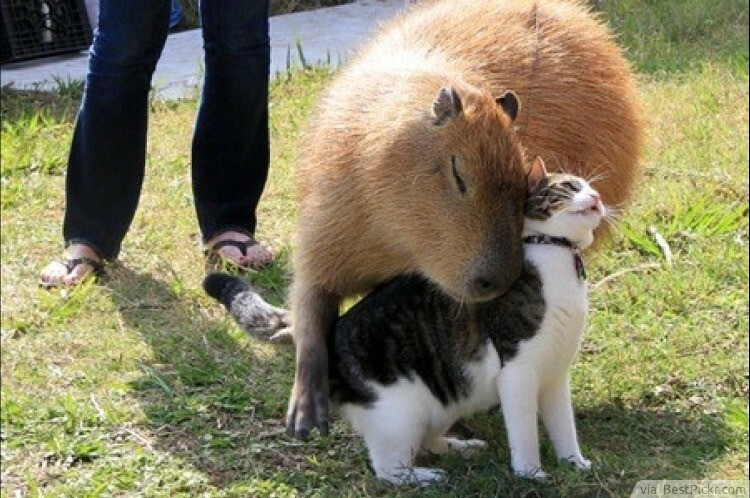 People like to call Capybaras giant Hamsters. 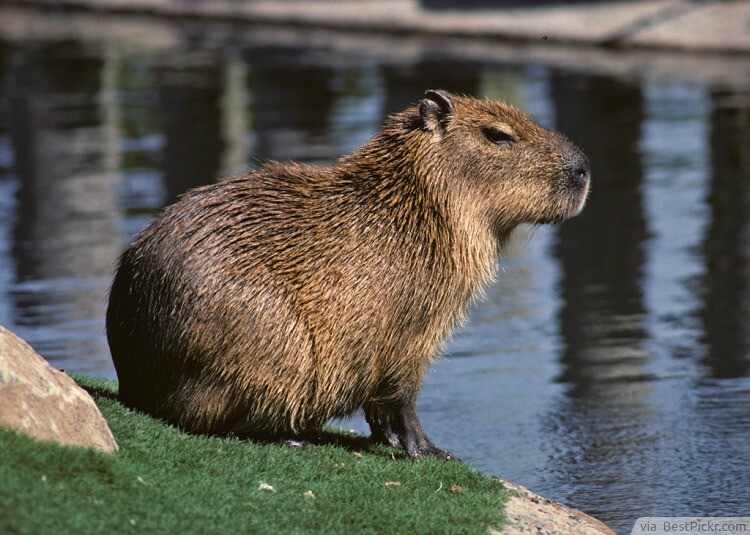 They are one of the largest rodents in the world. They can primarily be found in South America. 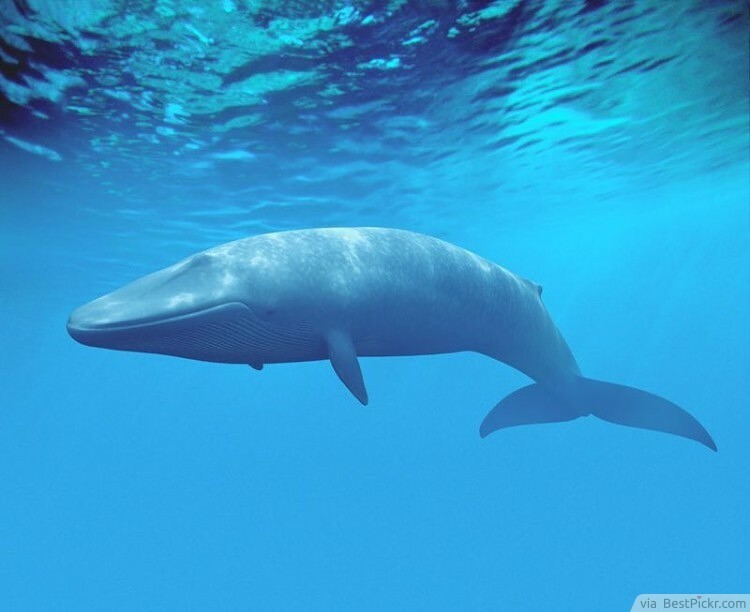 They can usually be found near water and their length is around 1.5 meters. They are over three feet tall and can weigh around one hundred kilograms! 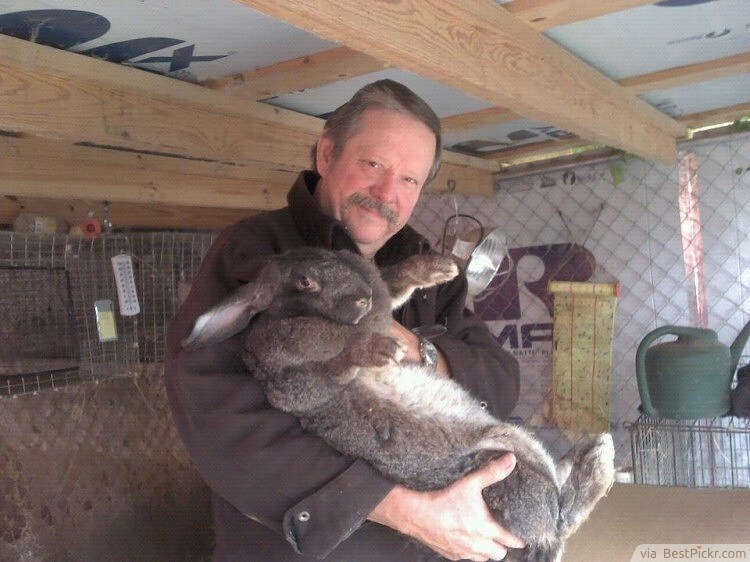 They hang around in large packs and sometimes people adopt them as pets. This animal can be found all over the world. 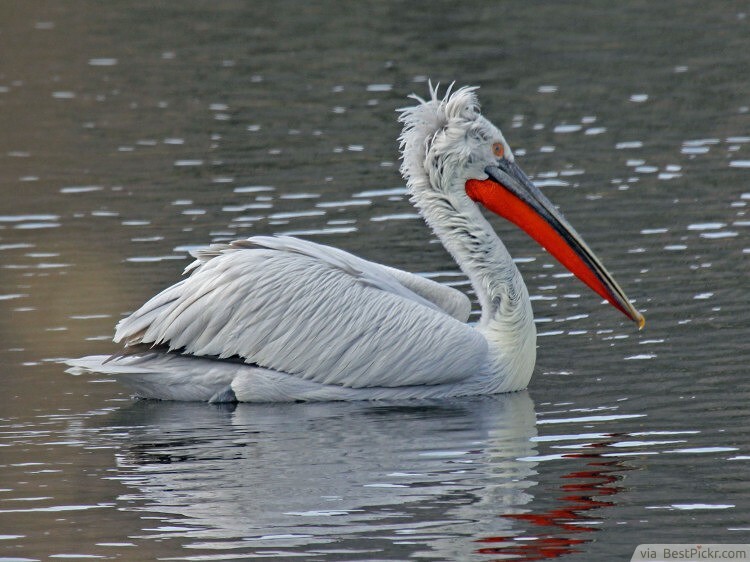 They mainly hang around swamps and lakes. 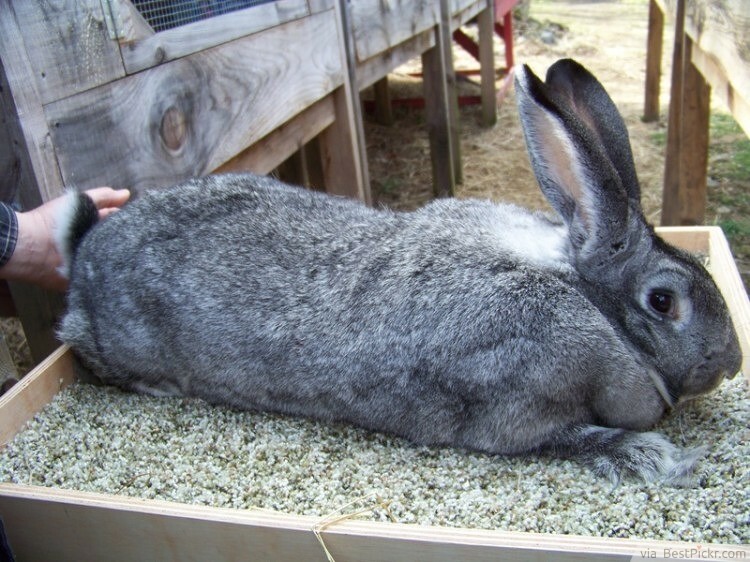 These animals can grow up to 167 centimeters in length and 30 pounds in weight. 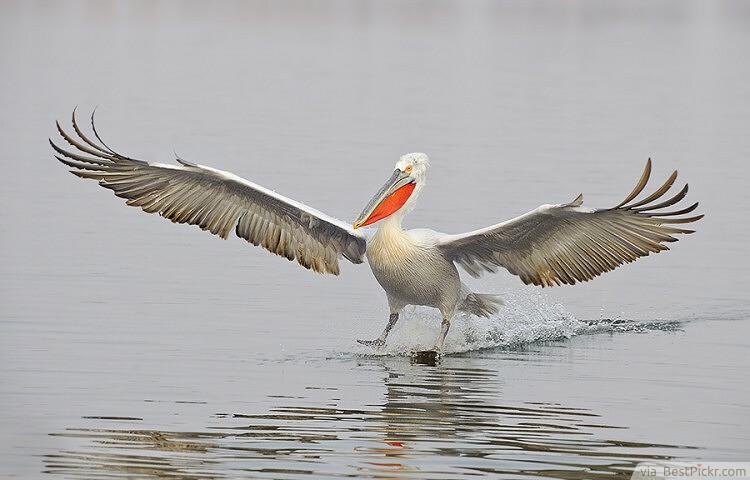 Their wingspread can reach up to 3 meters in width! 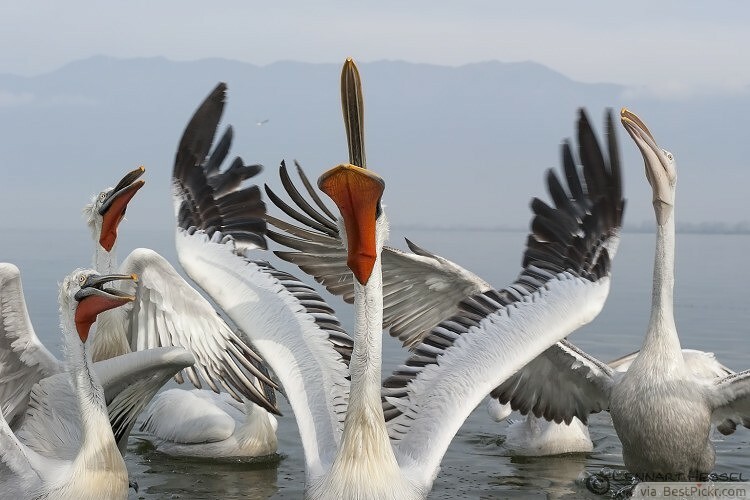 These animals are also considered the world’s heaviest bird species. 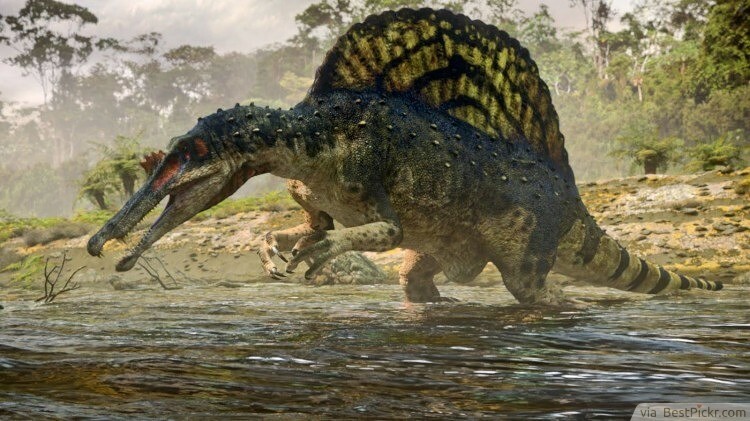 This dinosaur is now known as the spine lizard. This animal is the largest predator to ever exist on our planet! It was 60 feet long, 20 feet high, weighed almost 10 metric tons. If this animal was alive today, it would certainly enjoy snacking humans. 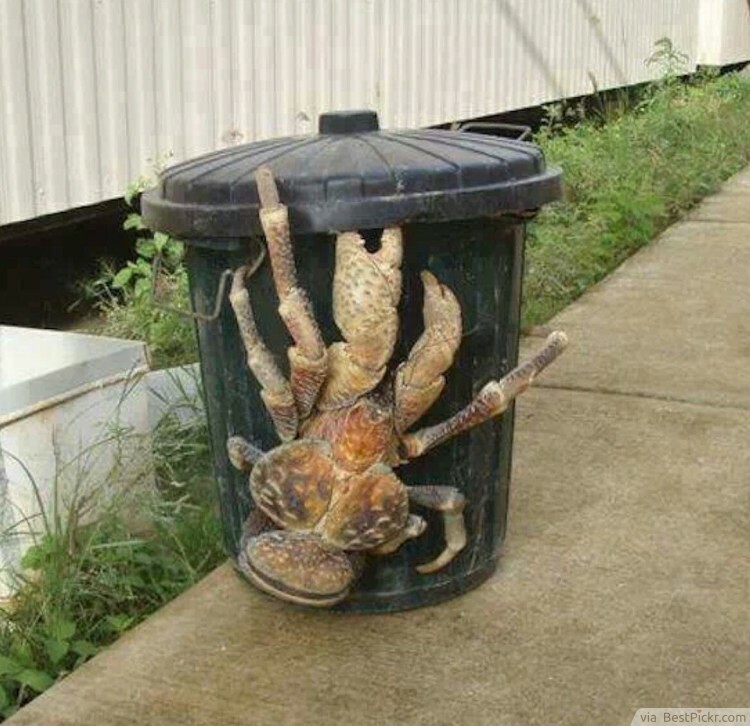 The Coconut Crab is a species of terrestrial hermit crabs. 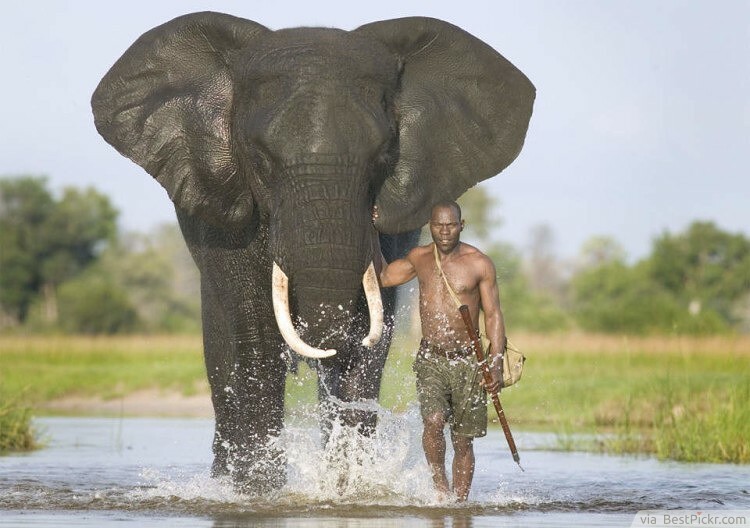 They are the largest living anthropoids on Earth! They can weigh up to 4 kilograms and grow up to one meter in length. 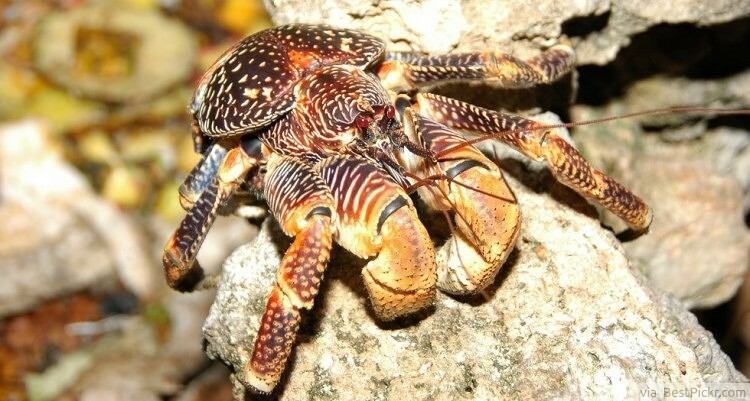 Its claws can crush a coconut in half.